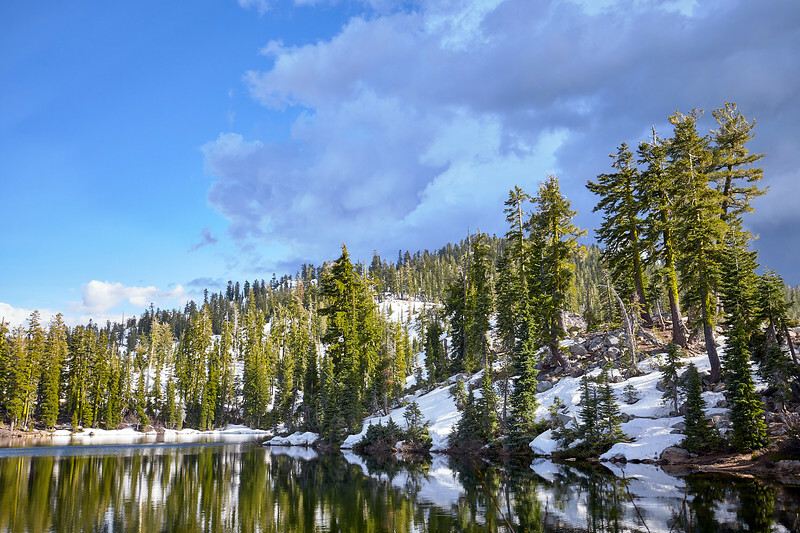 Photos of the Granite Chief Wilderness near Squaw Valley and Alpine Meadows, Lake Tahoe, California. 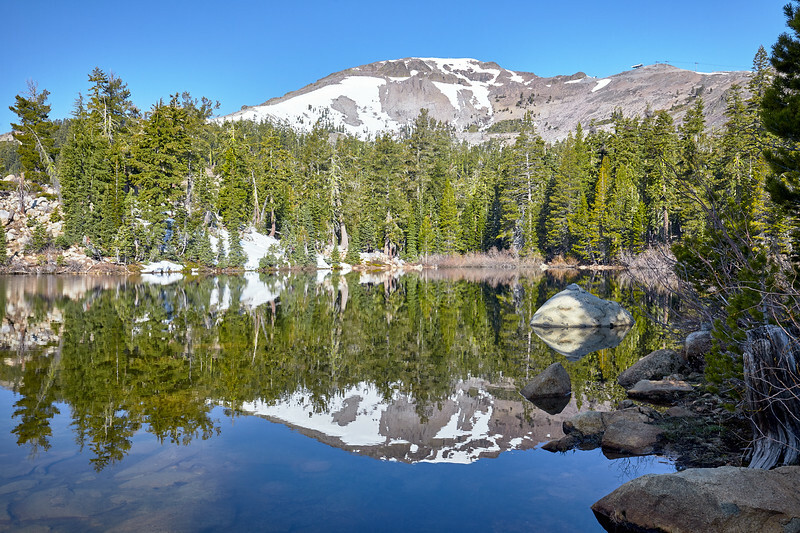 Popular hiking trails include the Five Lakes hike and the Pacific Crest Trail. 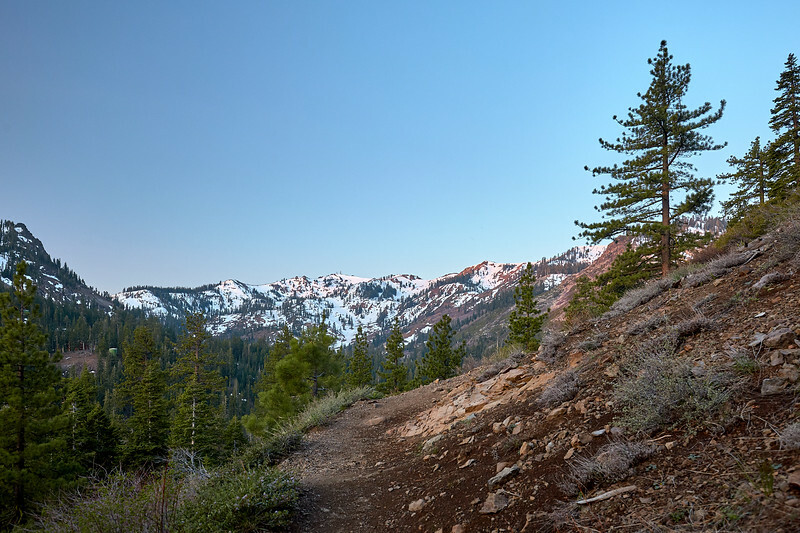 Looking back towards the Truckee River valley and the start of the Five Lakes Trail, about one-third of the way up the trail. 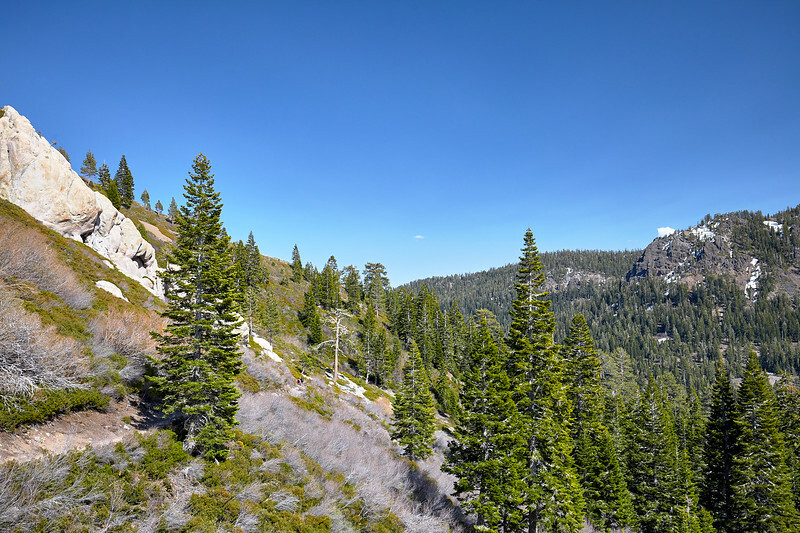 Looking towards the Truckee River valley from the line of ski lift towers on the Five Lakes trail. 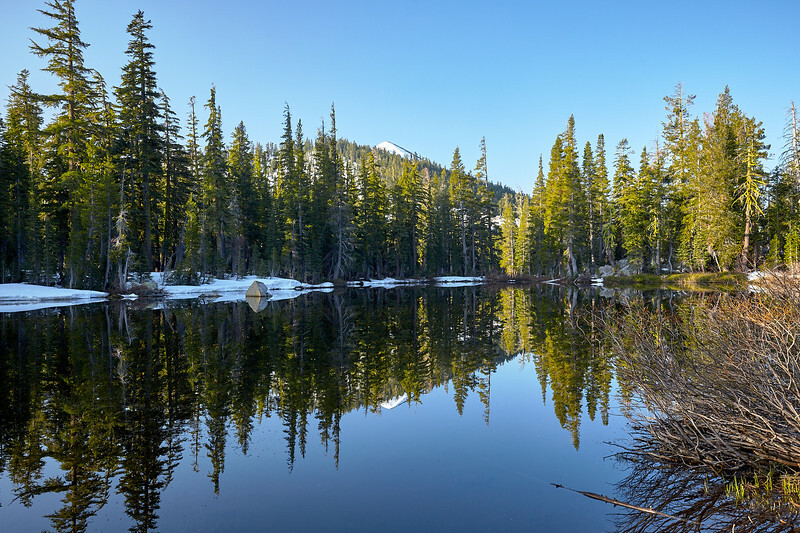 Afternoon reflections in the first lake visible on the Five Lakes trail. 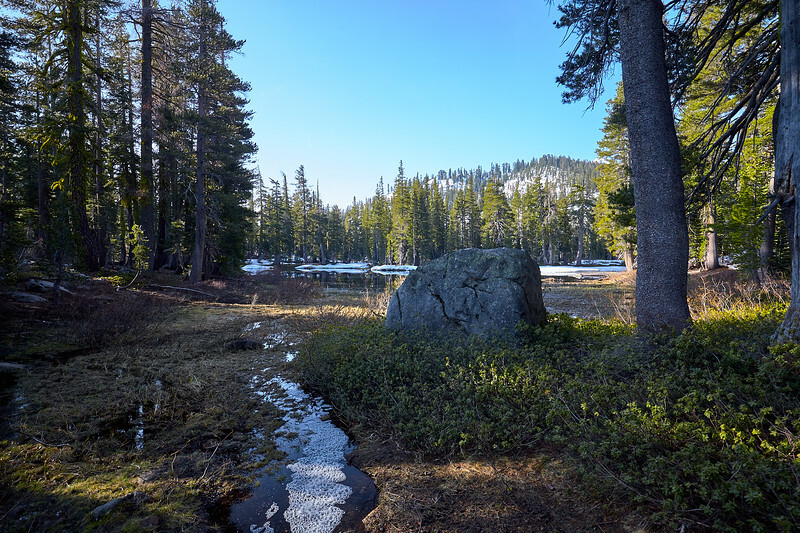 Standing where the creek from the second lake runs into another nearby small lake. 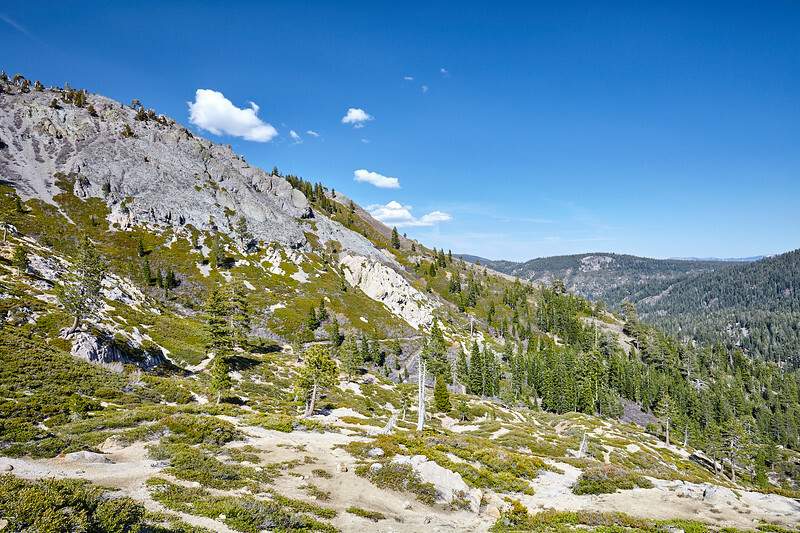 Five Lakes trail. 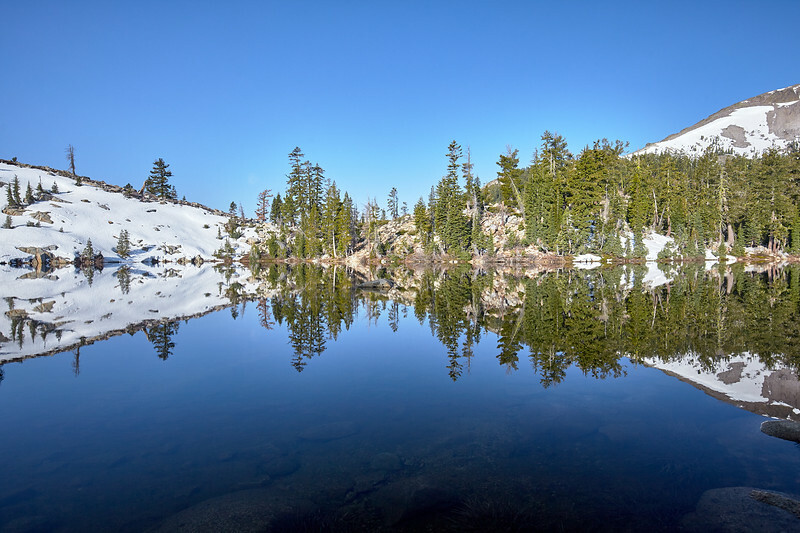 All of the lakes on the Five Lakes hike are shallow and very clear. 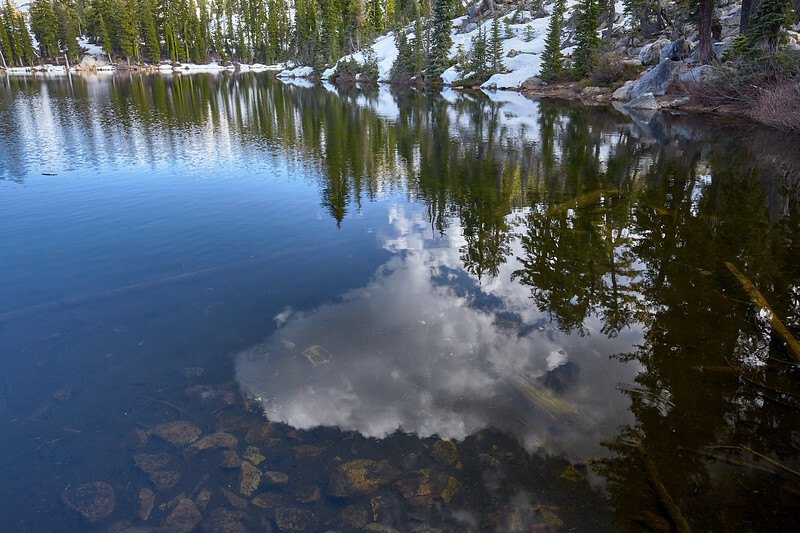 Afternoon reflections in the water from the most accessible of the five lakes. 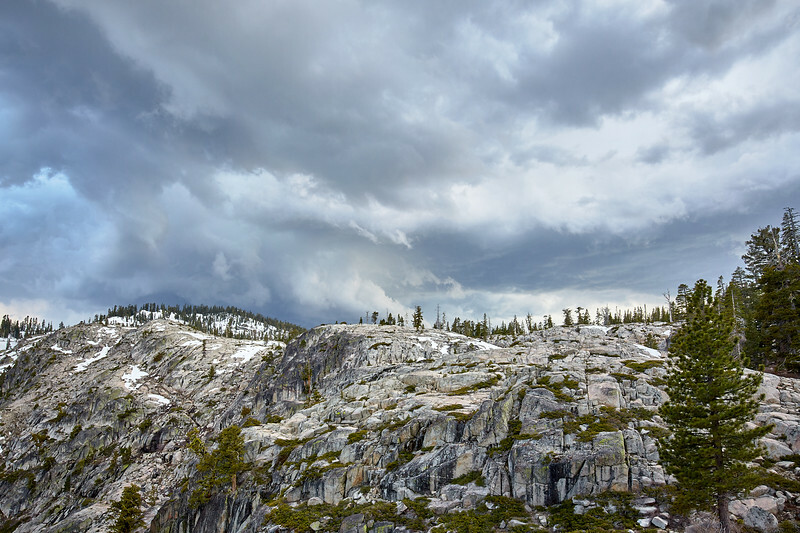 Thunderstorms building over the Granite Chief Wilderness and moving towards the little snow remaining at Alpine Meadows. 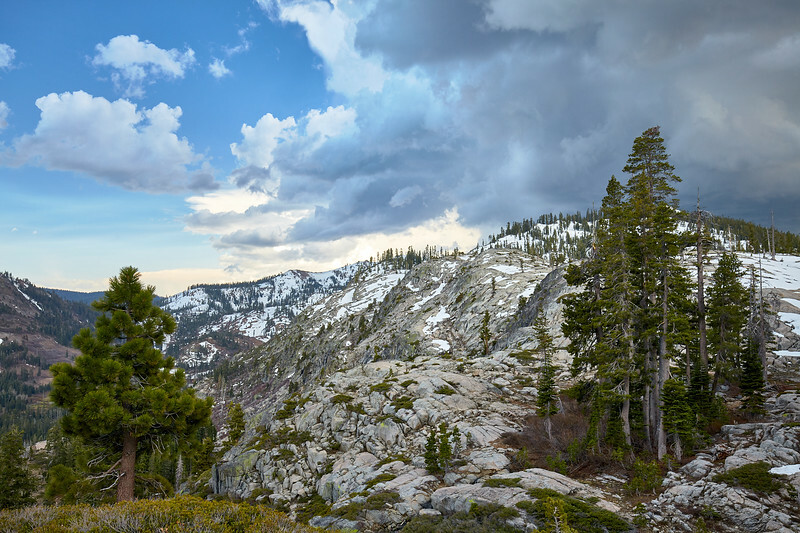 Convective activity building over the Granite Chief Wilderness near Squaw Valley & Alpine Meadows. 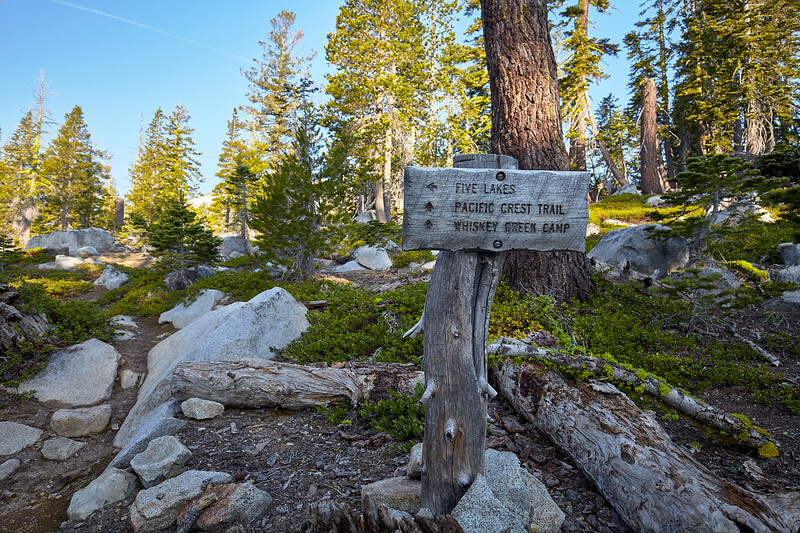 The start of the Five Lakes Trail. 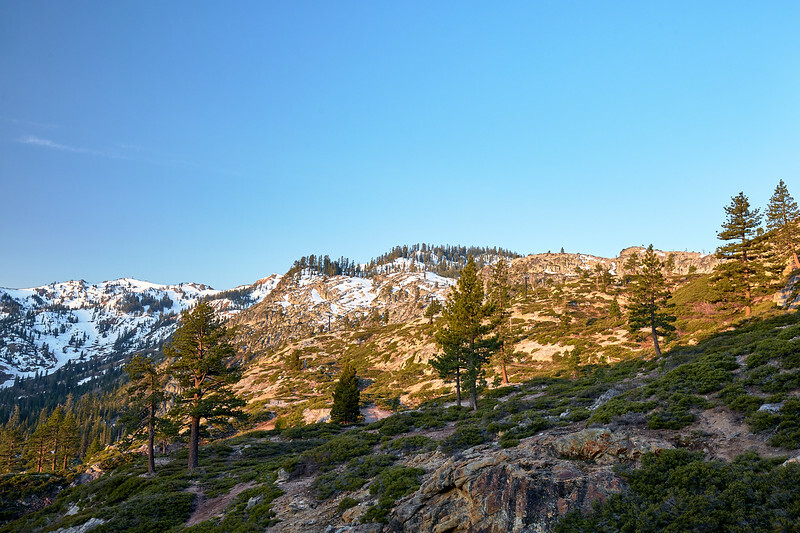 Morning light hitting Alpine Meadows. 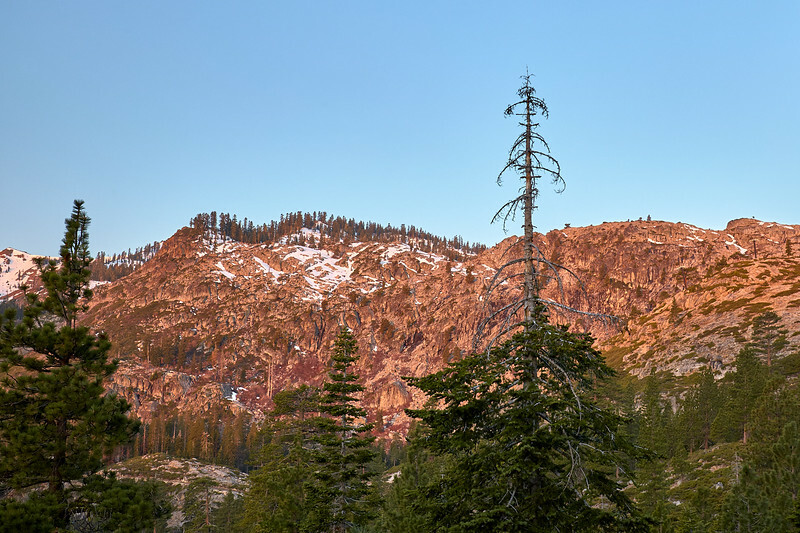 The granite cliffs on the Five Lakes Trail hike glow a pinkish-orange in the morning. The Five Lakes trail passing through a clearing approximately one-third of the way up. 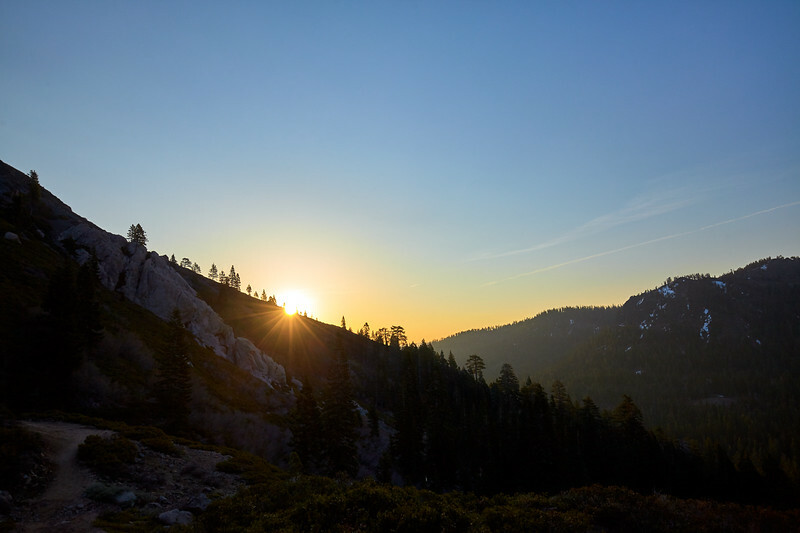 The sun rising over the Truckee River valley, at around the midpoint of the Five Lakes hike. 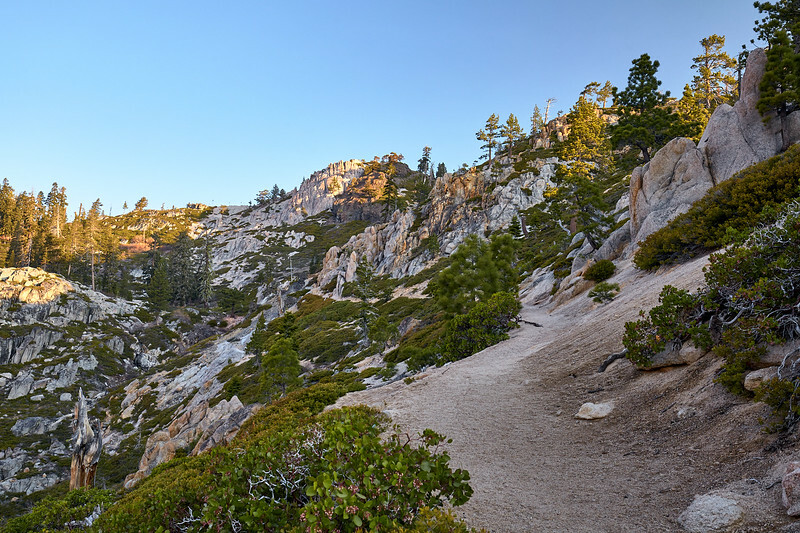 The last half of the Five Lakes Trail is a gradual, pleasent climb along the side of the canyon. A sign at Mile 2 of the Five Lakes Trail. From here you can continue to another one of the lakes nearby or go to Mexico - or Canada - via the PCT. 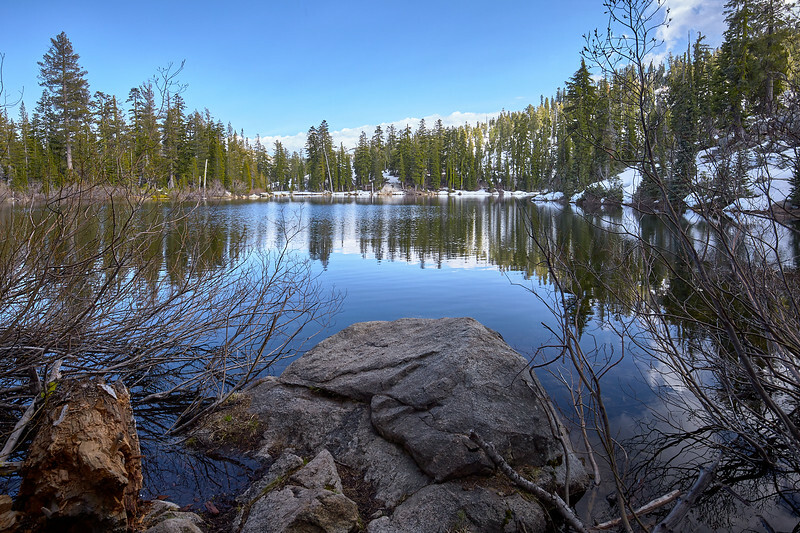 One of the Five Lakes that is slightly more difficult to find - it requires identifying a small trail that's not too easy to follow. The water is perfectly still in the morning and gives up some great reflections. 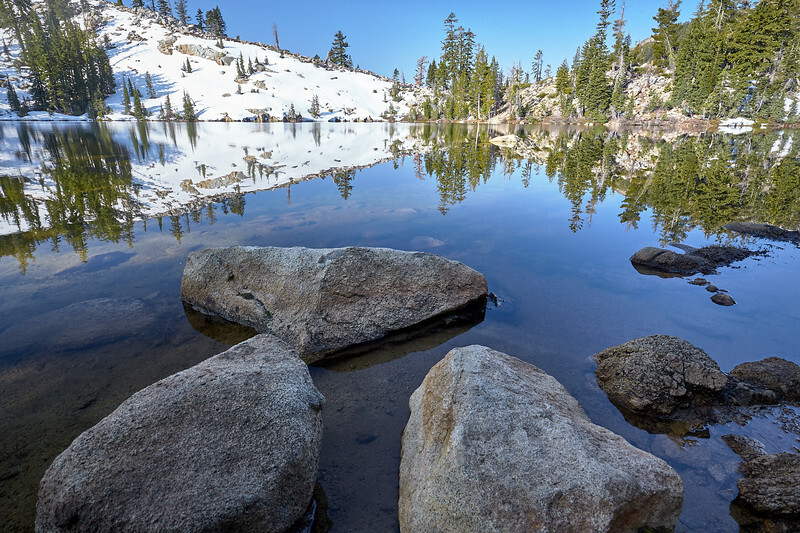 The shallow and clear waters of the Five Lakes. Like a mirror. 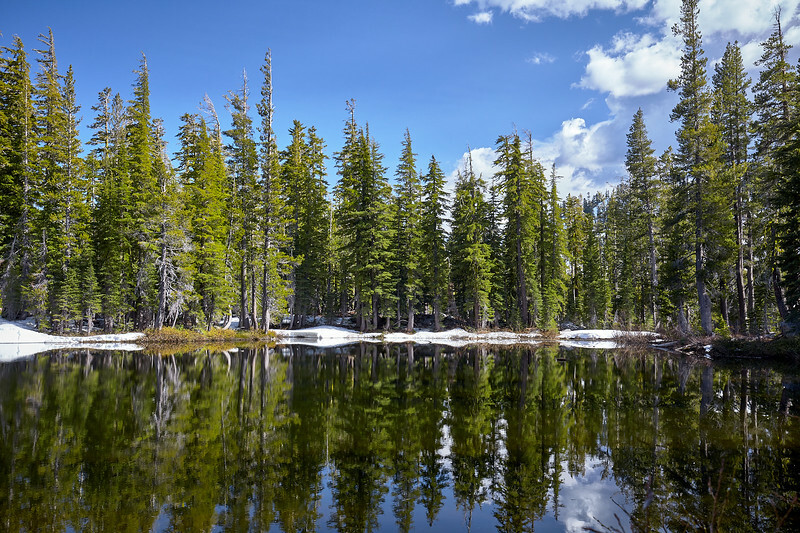 Five Lakes hike, Granite Chief Wilderness near Alpine Meadows and Squaw Valley.